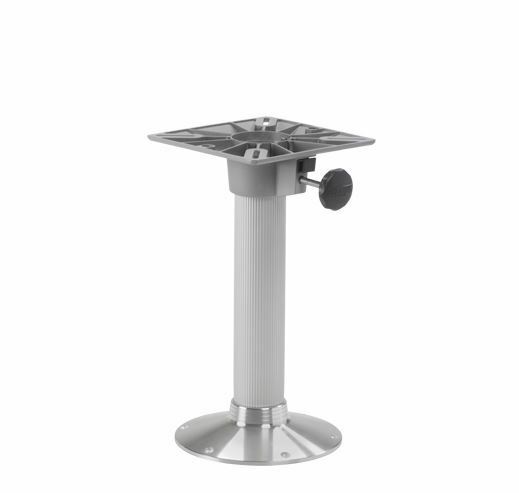 Strong pedestal with a fixed height. Rotates 360°. 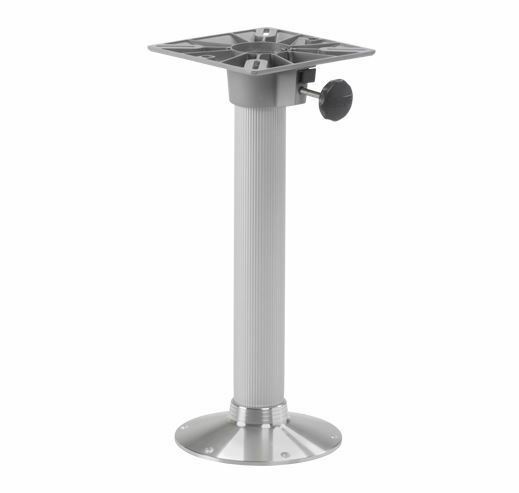 Strong pedestal with a fixed height. Rotates 360°. One tube-end tapered. Tube and base anodized (15-20 micron), support made of cast aluminium powder-coated. Three standard heights, others upon request. Tube diameter 76 mm. 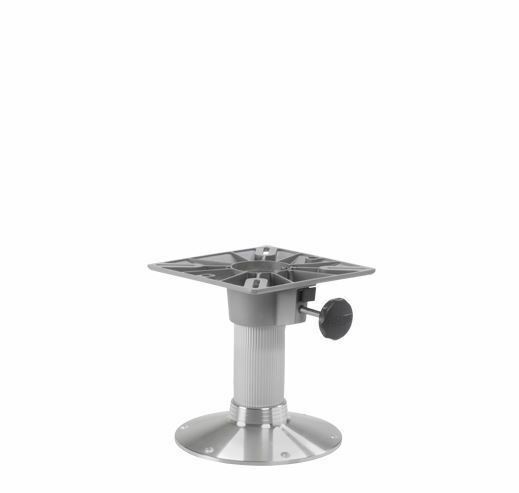 Pedestals meet and exceed American safety guidelines ABYC/H31.